Wait, what? We jump from 1982 to 1984? What happened to the 1983 Corvettes? Well that’s a bit of a sore point and one that Porsche bores will point to as an unacceptable gap in the production record. Put bluntly, there were no production 1983 Corvettes. Difficulties in tooling, quality control, parts supply and emissions compliance delayed the launch of the C4, with Chevrolet eventually ironing out the issues by March 1983. Rather than release the cars at the end of the ’83 model year, the company instead decided to hold off until July 1983, when the cars would go to dealers marked up as 1984 model year cars. That’s the reason some customers still have 1983-stamped parts on the Vettes. Much speculation exists as to how many 1983 test cars actually survived. ‘Officially’, only one is in existence, the white car (serial number 1G1AY0783D5110023) at the National Corvette Museum in Bowling Green, which managed to escape the infamous sinkhole incident of February 2014. Jay Leno is reported to have enough 1983 model year bits and pieces to build a second car although, as many 1984 C4 owners will attest, even when bolted together the quality still wouldn’t be anything to shout about. In many regards, the C3 Corvette had hung around for too long, its production span of twelve years on an essentially carry-over chassis leaving it looking tired and outdated. In developing the C4, Chevrolet needed to do too much without enough resources. Still, you can’t fault the ambition, even if the Corvette’s 30th anniversary celebrations in ’83 were a bit of a damp squib. "We were trying to figure out how to bring the car back to date in all aspects," said David McLellan, chief engineer for the Corvette at the time. "There was new technology that hadn’t been used in Chevrolet or in any automotive application yet." This tech included gadgetry like liquid crystal digital graphic displays and a Doug Nash 4+3 transmission behind the Cross-Fire small-block donk. With forged aluminium control arms, power rack and pinion steering and an exterior 24 percent more aerodynamic than its predecessor, the C4 Vette had the fundamentals absolutely right, setting a record 0.90-g skidpan results in early Car and Driver reviews, despite the 205 horsepower lump not exactly setting the world alight. 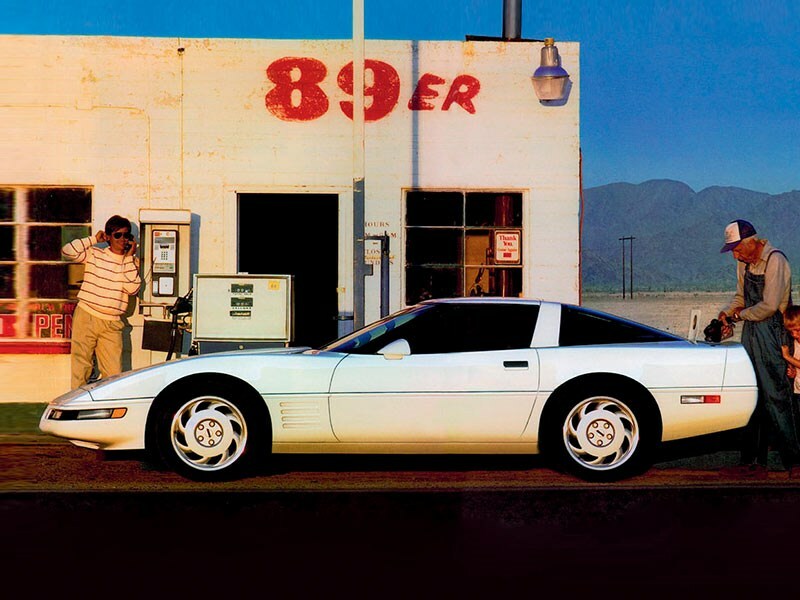 Power increased to 230hp in 1985 and then 240hp in 1987, but it wasn’t until the introduction of the ZR-1 in 1990 that the C4 got deadly serious. McLellan knew the car needed an engine producing well over 300hp, and he directed Director of Powertrain engineering, Russ Gee, to come up with a solution. He worked up a couple of turbocharged V6 and V8 engines for testing, but a meeting with Tony Rudd, Lotus Cars’ Director of engineering, set in train a very different solution. GM owned Lotus at that time and the Norfolk company was already well advanced in the development of a 4.0-litre DOHC V8. Gee reckoned that Lotus could adapt this cylinder head design to mate with the small-block, but this proved an engineering nightmare. The only viable solution was to build a completely new block to marry up to the beautiful Lotus heads. The LT5 engine was born. Lotus built Phase I and Phase II LT5 test mules, but Chevrolet needed a domestic manufacturer. In March 1986, Mercury Marine in Stillwater, Oklahoma, was approved as the sole supplier of the LT5 powerplant. 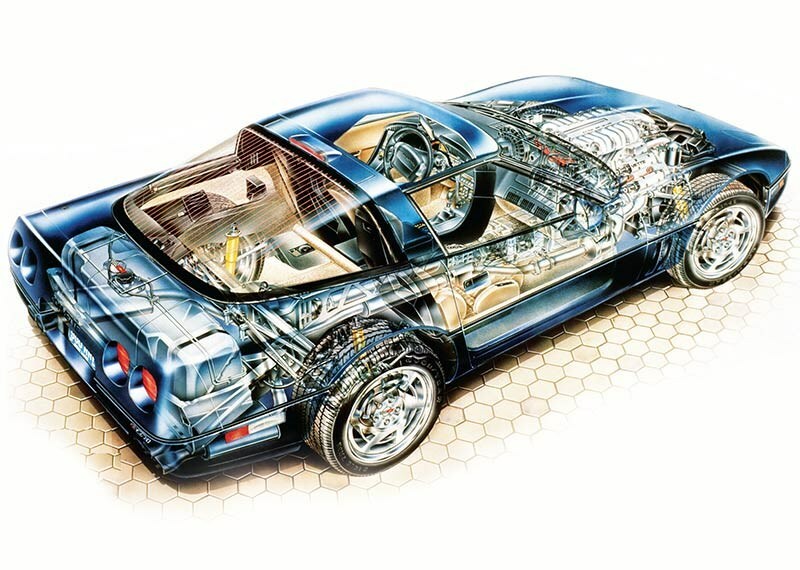 In 1990 the 375hp ZR-1 retailed for $58,995, and despite its modest build volume of 6,939 cars built between 1990 and 1995, the ZR-1’s long list of endurance and performance records re-established the Corvette as a performance car to be reckoned with. 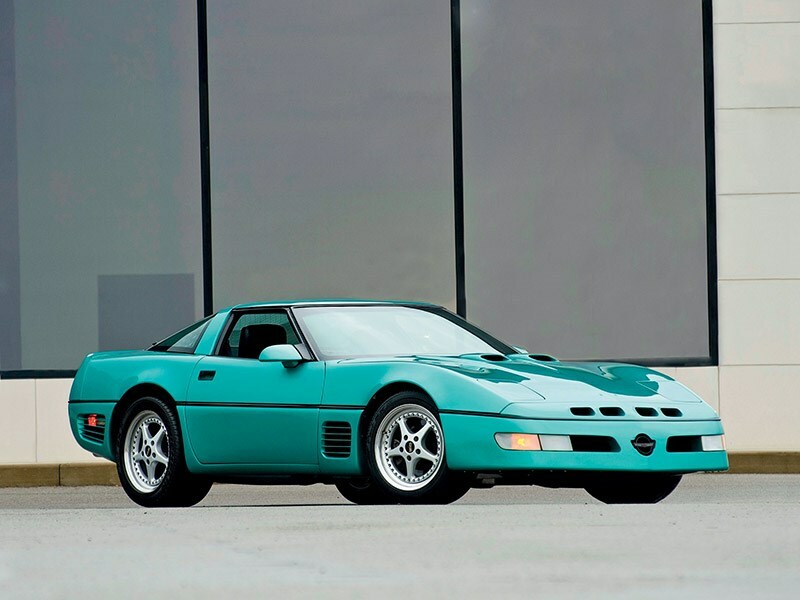 Ultimately, the ZR-1 was too expensive and offered too little performance gain over the rapidly-improving LT-1 car to represent a commercial success. At the time of its introduction, the Corvette was in a sales slump. After selling almost 39,000 Corvettes in 1985, in 1991 the General shifted just 16,029. The halo effect of the ZR-1 saw sales lift to 18,000 in 1992, almost 21,000 in ‘93, and 21,500 in ‘94. In 1995, it was clear that paying double for a Corvette that covering the quarter mile 0.5 seconds quicker than the stock LT1 (13.1 v 13.6secs) wasn’t a compelling buyer proposition. The King of the Hill had been deposed. By a Corvette. Receive more Unique Cars reviews and features here or get the latest unique and classic cars for sale here.